I found this photo on theoddessyonline.com. It was part of an article on 11 beautiful Japanese words that don’t exist in English. I love the words, photos and fact that these words convey a whole collection of experiences drawn from the Japanese love for nature and politeness. They convey meanings and subtleties that we don’t have in English. Enjoy! Thanks Lee. I liked it too Lee, along with the beautiful Japanese words. Wow, what a kind review! Thanks Annette. ❤ I really enjoyed learning about these words. Thanks Cynthia. I’ve always been fascinated by other cultures, especially the Oriental love for nature, and artistic beauty. This is a great feeling to have at the end of summer ~ the autumn to begin to exhale and relax, and we have the winter to rest before getting the privilege of doing it all over again 🙂 Cheers to a great week ahead! Thanks Randall. I don’t want to rush the seasons. 🙂 This Japanese word and photo stirred the poem and memory of slowing down in winter. You do a brilliant job matching beautiful prose with beautiful visuals!! Thank you Kurt. May we appreciate the seasons. 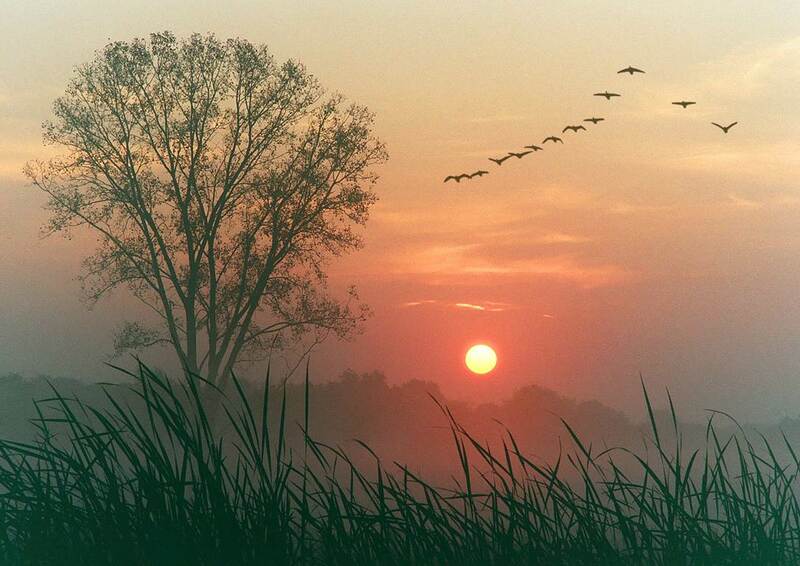 Your words Brad so fitting as we begin Autumn and the decreasing days as Winter approaches, The photo a wonderful choice showing geese flying south for Winter..
All seasons are beautiful and each one have their merits.. Thanks Sue. We’ve just had our first few hints of fall, and I’m happy for the cooler weather. May we appreciate and flow with each season in our lives. How powerful and beautiful work, and the image is stunning! Thank you Noora. I love these Japanese words that speak to a deep connection with nature.